So you’ve run into financial trouble, and the old, rundown or damaged house you’ve just inherited isn’t doing much to help. You can’t sell it because no one would buy it as it is to live in it, and the taxes and other costs you have to support are slowly leading you to ruin. Fortunately, there is one other option: selling your home to local Dallas investors willing to pay a smaller amount, but able to complete the transaction fast and – more importantly – with cash money. Now, even though these deals aren’t necessarily as profitable as they may seem, they can really get you out of a bind. So let’s take a look at what you can do to improve the odds and get even more money out of the deal. Since many people considering “we buy ugly houses in Dallas” offers are in a hurry to sell their homes, they sometimes think that there isn’t time to do proper research and find the best deal. However, the truth is you can’t afford not to. Research is essential to making sure the company you sell your house to won’t try to buy it off for a much lower price than you could get, and that they run a legitimate business which has your best interest in mind. Investment firms accredited by institutions like the BBB (Better Business Bureau) have far more credibility and authority in the field than any others. Accredited companies are known for their dependability and assurance in providing clients with the best possible deals. Also, by finding accredited investors you won’t have to worry about being scammed, having the money transferred to you after long delays, or doing business with an illegitimate company. There are so many “we buy ugly houses in Dallas” offers out there that many residents don’t even know where to start. If you want the best deal to come to you, then you’ll have to go looking for it. Check search engines and online listing sites for information on local investors, and don’t forget to inquire at some of the main Dallas real estate forums. You will find answers on some of the most (and least) known and reliable companies, and you’ll know precisely which ones to go with. Also, by comparing quotes you can easily find the most profitable offer available. Talk to several investors, and consider doing some advertising to get word out about selling your house. That way you will literally get investors fighting to grab a great offer, and they’ll have no choice but to increase their bids if they don’t want to miss out on the deal. Just because you get a certain price as part of your quote doesn’t mean you have to settle for it. 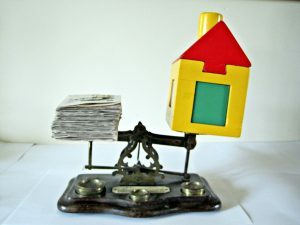 Instead of making it clear to investors that you want to sell your house as quickly as possible, try to discuss the deal in a way that will imply you could get a better offer – which, indeed you might. That will give you the advantage, and may even add a few thousand dollars to the cash you were about to receive anyway.